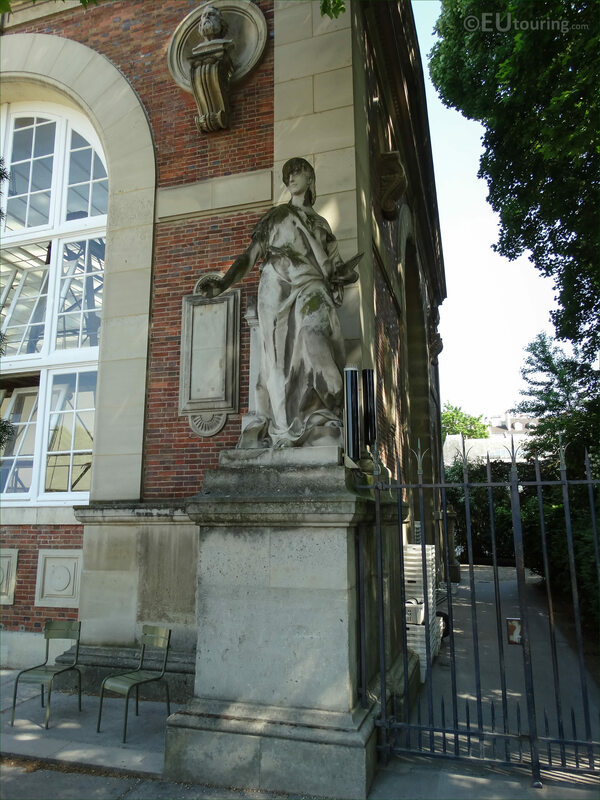 This time while we were within the Jardin du Luxembourg in the 6th Arrondissement we were looking at the facade of the Orangerie and took these HD photos showing the statue called La Peinture by Jules Franceschi. 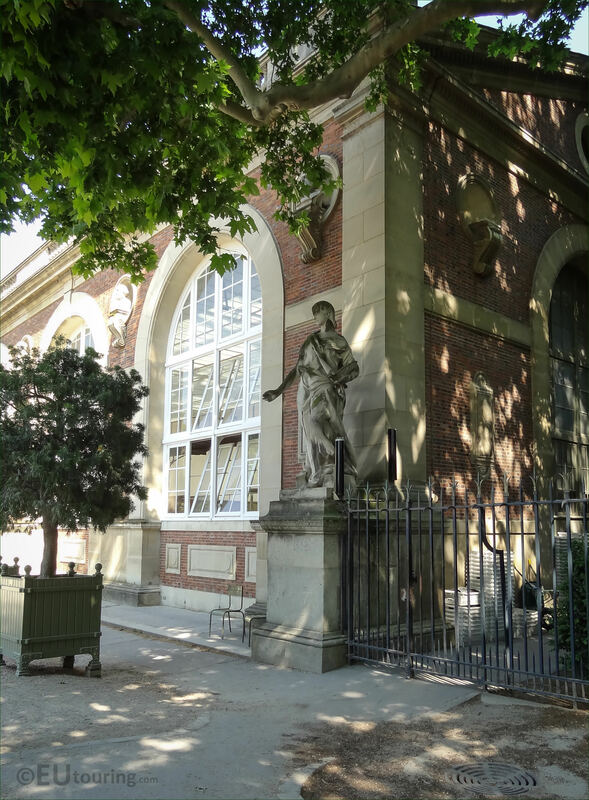 Now the Orangerie actually has busts of different painters and sculptors, which is quite apt that this statue is located here on the right hand side as you are looking at the facade, due to the fact that it is called La Peinture, which translates in English to The Painting. 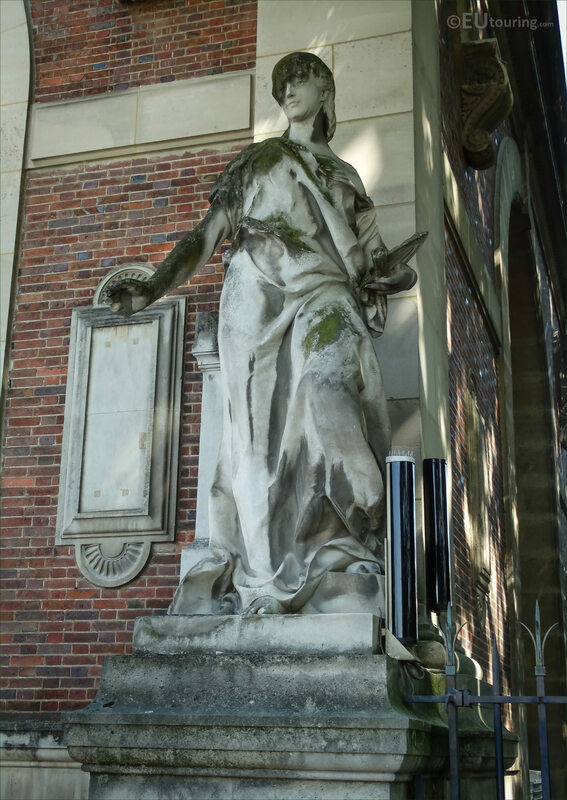 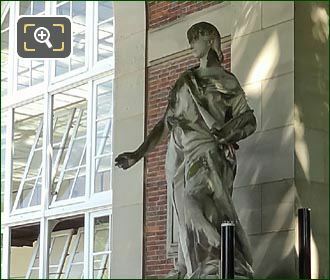 And this particular allegorical statue is made of stone, and standing at a height of 2.5 metres not including its stone pedestal, was first exhibited at the 1889 Salon in Paris prior to being put in position within the Luxembourg Gardens, in place of an original statue called victory. So, La Peinture, or The Painting, was produced by Louis-Julien Franceschi, who was of Italian origin, born in 1825, becoming known as Jules Franceschi. And being a pupil of Francois Rude, he became a French sculptor who executed works for many historical buildings in Paris such as the Palais du Louvre, the Hotel de Ville, etc, not forgetting the numerous busts of famous people and other allegorical statues he sculpted, such as this one prior to passing away in Paris in 1893.